I have always wanted to paint the ceiling tiles in my room. What I move buildings or districts? Do I really want to buy ceiling tiles to paint? So I put that idea on the back burner. 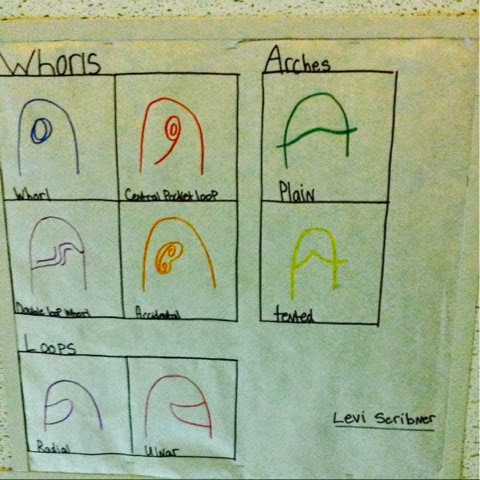 Then the art teacher started having students paint on cardboard and inserting those under the ceiling tiles. That great! But do you know how hard it is to find good piece of cardboard that are two feet by two feet. Back burner. Then the Spanish teacher had his students creating ceiling tiles on paper and stapling their creations to the back of the ceiling tiles (the staples fall out of the front). So, off the back burner! Last year I created my "class 14.0" end of the year project. And this year the tradition continued with "class 15.0." 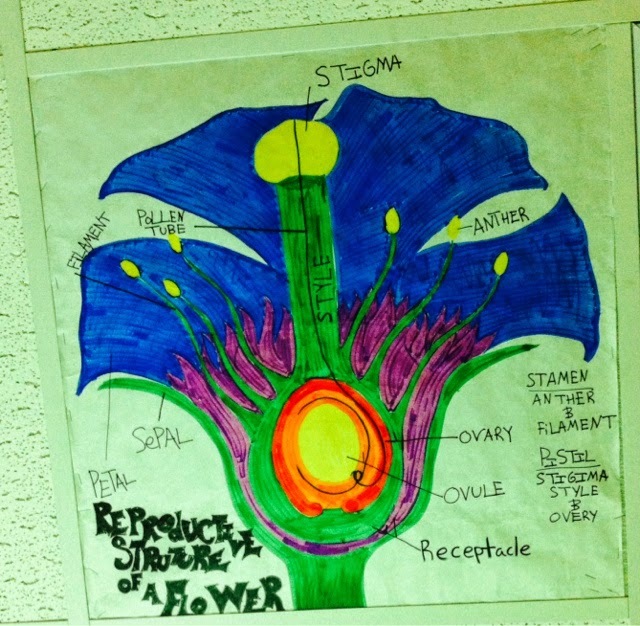 As part of the project ceiling tiles were a requirement for the Biology classes, and were an option for the AP Biology class. 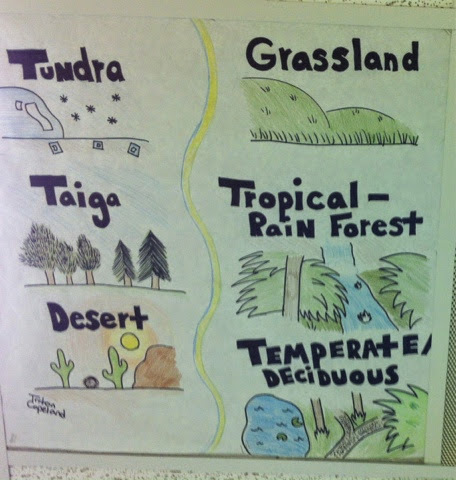 I tell the kids to think of the ceiling tiles as a big cheat sheet. But I think if content surrounds the kids then surely something will stick. 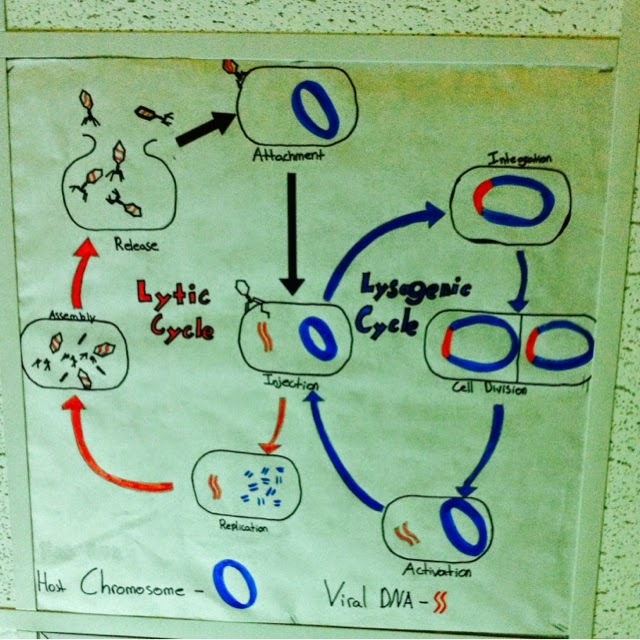 I have all my kids use white paper and markers. I feel like I am closed in with colored paper, and I make them draw everything themselves - no printing things out for their poster. 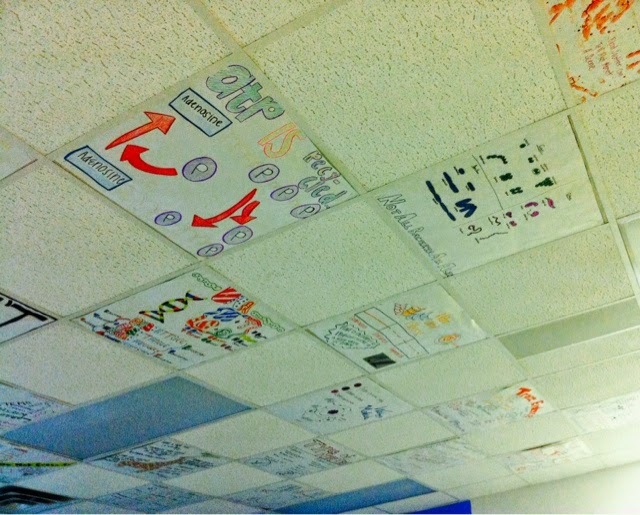 The students who finished their projects first were in charge of putting the ceiling tiles up. They used safety glasses to protect themselves from the dust and dead crickets. And they created a pattern by using every other tile. Sometimes the lights and wifi made this complicated but they did a great job. Several other teachers at our school are using the ceiling tile project as well. 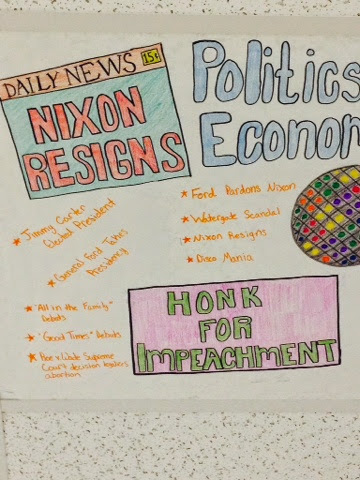 And my sister who works in another district had her kids create ceiling tiles this year in her history classroom.